15mm to 9.5mm-11.5mm wide dovetail rails. One is fitted with a top and side anti-creep pins. Tikka / CZ 15mm wide dovetail rail to 11mm dovetail adapter rail. 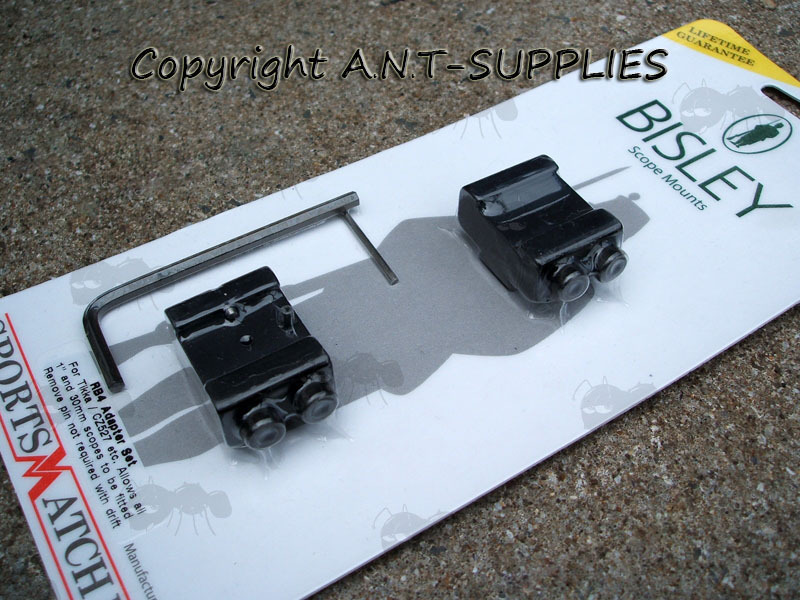 Allows the fitting of UK standard dovetail rail mounts to Tikka, CZ527 and early Brno .22 rifles. Made using the latest state of the art CNC machinery. 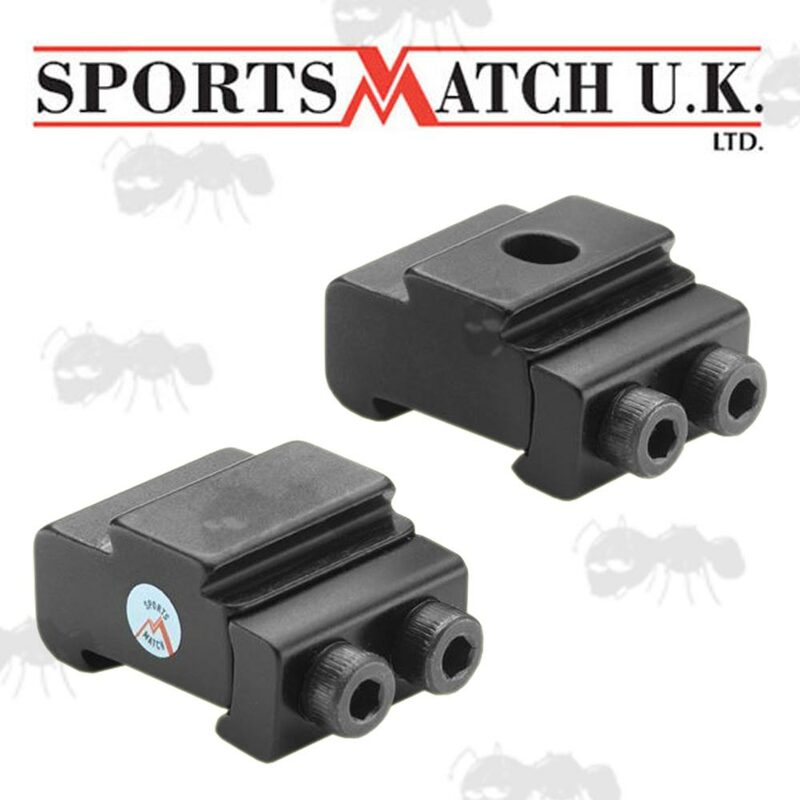 Other SportsMatch UK adapters ~ RB3 Dovetail and RB5 / RB6 Weaver and Dovetail .